In a delightful scene of Martin Scorsese's 1990 film Goodfellas, Henry Hill's concubine Janice is showing off her “kept-woman” apartment to a couple of her girlfriends and leads them into the bedroom, where she unselfconsciously remarks, "This is where we spend most of our time." One of her friends walks over to Janice's chest of drawers, picks up a bottle of perfume, removes the top and sniffs as she approvingly observes, "French," a knowing look in her eye. It will be considered sacrilege by some, but I feel compelled here to confess that whenever I hear the word vintage roll off a perfumista's tongue, I think of Janice's friend. The word vintage has acquired such a magical allure that the mere mention of it seems to fill listeners with awe and admiration for whatever object it is being used to describe. I am fascinated by this fascination with all things vintage, and above all perfume, probably because I simply do not understand it. In fact, I have been puzzling for quite some time over the profound reverence which many perfumistas exhibit toward what have been identified as vintage perfumes. Fragrance community websites all have their forums where “vintage lovers” convene to discuss their latest acquisitions and to strategize about how to get their nose on others. I have never participated in these discussions, first, because I have no idea what they are presumably talking about and, second, because I have serious reservations about the entire enterprise of “vintage perfume” to begin with. And I do mean enterprise. First, and most fundamentally, I do not understand what the term vintage is supposed to mean. My distinct impression—and please correct me, if I'm wrong—is that the word has been appropriated from the world of wine. Whatever the precise origins of the term and the story that led to its current use, vintage is being applied now, with ever greater fervor, to perfume. Apparently, despite the fact that I myself never made any effort whatsoever to acquire any vintage perfume, I own quite a large volume of the stuff, including my bottles of Christian Dior Dolce Vita and J'Adore; Guerlain Samsara, Mahora, Jardins de Bagatelle, Champs Elysées, Chant d'Arômes, Terracotta Voile d'Eté, and Shalimar (among others); Jean Patou Sublime, Joy, 1000, and Sira des Indes; and Yves Saint Laurent Champagne (now known as Yvresse). ﻿On the other hand, my bottles of Rochas all seem to be reformulations, so they are apparently not vintage, despite the fact that reformulated Femme dates to the same year as unreformulated—hence vintage—Samsara! So it appears that all of the bottles of “vintage” perfume in my collection became vintage simply through having been acquired before the perfume in question was reformulated! One rather odd implication of this common understanding of the term vintage would seem to be that every single brand new bottle I own is also vintage, having yet to be reformulated. In the case of discontinued perfumes, everything in the category is, by definition, “vintage”. In the decades to come, long after Britney Spears and Jessica Simpson have departed from this world, will people be clamoring for bottles of Believe, Midnight Fantasy, Fancy and Fancy Love for the simple reason that they are old? What about Aquolina Pink Sugar or Vera Wang Rock Princess or ____________ (fill in the blank with any currently popular perfume which you personally regard as unwearable junk)? My point here is a simple one: even more problematic about the whole vintage enterprise is the undeniable fact that sophisticated perfumistas do not agree contemporaneously about which are the greatest perfumes. Why in the world should they agree about the past? That question leads directly to my second major concern. As I think through the implications of any specific definition which might be said to capture “vintage perfume”, I become confused as to why anyone should care more about those creations than about any others. It is obvious, of course, why gray-market decanters aggressively promote the notion that “vintage” is better than non-vintage perfume. As one peruses the offerings at The Perfumed Court—run by three nice housewives armed with pipettes, or so the urban legend goes—one begins to notice that certain especially high-priced items appear to be so because they carry the resplendent epithet vintage. Such items seem most likely to have been acquired from e-bay by the decanters and then sold as veritable treasures, genuine antiques of sorts. Now, why such perfumes should be considered any more likely to be what they are claimed to be than when they are bought directly from e-bay is a question which those who frequent decanters appear rarely, if ever, to entertain. But, my fragrant friends: You cannot have it both ways. If the ladies who make up The Perfumed Court are simply housewives trying to make a bit of money the good old-fashioned American way, then there is no real reason for believing that they are any better at assessing the authenticity of vintage perfumes than is anyone else. I rest my case. So the set of first-order concerns I have about the enterprise of vintage perfume is identical with each and every one of the problems which may arise in acquiring used perfume from e-bay. Those problems transfer immediately to vintage perfumes acquired from decanters because, in most cases, the bottles would seem to have been obtained from e-bay or through e-bay-like channels. Perfumes are acquired and then marked up and re-sold by decanters, whose christening of the bottles as “vintage” seems to be taken as some sort of certificate of both authenticity and quality. Soyons sérieux. Let's think through the history of a vintage bottle of perfume. 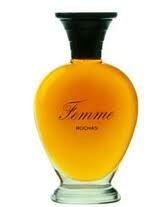 Suppose that a bottle of vintage perfume was produced in 1961, just to pick a year out of a hat. That's fifty years ago. Many perfumistas were not even born at that time, but I think that the changes which have transpired over the course of the life of a person who was born in 1961 illustrate very well how much can happen to a thing—any thing, including a bottle of perfume—during a period of five short decades. A tiny little human being is born bright and shiny new with fresh tender skin (if caucasian, the baby's skin may be as white as snow). She has no apparent linguistic capacity initially and weighs very little. As the infant grows, her cells change as a result of both biology and environment, or nature and nurture. Slowly her skin becomes thicker, she learns to speak, and eventually to lie, and the state of her soul as of her body may have as much to do with factors external as internal to her. Girls born into posh wealthy households do not generally, for example, grow up to become prostitutes. This does not mean that wealthy people are more virtuous than poor people. No, it means only that they tend to be considerably less desperate. In the case of a perfume born in 1961, there is no inherent biological mechanism in place which leads the perfume to evolve and change, but what is indisputably the case is that the molecules initially present do begin to show their age, so to speak, as the years flitter by, exactly as a human being's body and face begin to show traces of age. The rate and extent of the visible signs of aging have something—and perhaps a great deal—to do with what the person does. A person who regularly quaffs large volumes of water, takes vitamins, eats leafy green vegetables, wears sunscreen, and generally avoids toxins such as cigarettes, alcohol, BHT and artificial sweeteners (which always seem to be identified as carcinogenic a couple of decades after their approval by the FDA! ), may look significantly younger at age 50 than a chain-smoking alcoholic who spends her days lounging about outside under the blazing sun attempting to achieve the darkest possible tan. Perhaps her idea of exercise involves the lifting of a glass of rum and Diet Coke to her lips. Having once been young and beautiful, it may never occur to her alcohol-addled mind to adopt preventive measures such as sunscreen to forestall the ravages of time. Suppose that two such people were twins. In spite of their identical origins, if two biologically similar people conduct themselves in radically disparate ways, they may end up by looking very different by the age of 50. Similarly, I would like to suggest here, two bottles of the same batch of perfume produced at exactly the same time—indeed, drawn from the very same vat—may travel very different paths to what they eventually become fifty years later down the line. In the best case scenario, a vintage perfume will have been well-cared for, shielded from heat and light, rarely if ever opened, and thus effectively preserved to the maximum capacity in its optimum state. The perfume may well still have changed, at least to some extent, because molecules fall apart over time just as even the most vigilant, pro-active woman's skin will wrinkle, notwithstanding the thousands of dollars she may spend on creams, lotions, and various and sundry other treatments over the course of her life. Eventually, even a woman who has availed herself of every conceivable technique by which to forestall the effects of time will look old. Maybe not at age 40 (cf. Jennifer Aniston), or even at age 50 (cf. Demi Moore), but if she is lucky enough to live to be 80, she will look old: it's a fact. Some people may look “young for 80,” but of course that usually means something like “closer to 60.” By the time people reach the age of 90 or 100, they have wrinkles on top of wrinkles, no matter what they do—not that they care by that point. The perfume which is well-cared for over the course of decades, too, will show its age eventually, because the chemicals which make it up have degeneration trajectories as well. There is a reason, after all, why newly launched perfumes carry a “use by” advisory label and icon. Some labels on the bottoms or boxes of perfumes recommend use within 36 months from the time it has been opened, and thus exposed to air, which initiates the breakdown process of the chemicals contained therein. With bottles not under vacuum pressure—such as hand-poured decants in spray atomizers—the perfume is exposed to air and begins to evaporate almost immediately. This explains why perfumes in screw-top bottles or with removable bulb atomizers often decrease in volume whether or not one has been wearing them very much. I have also noticed that purple- and blue-colored perfumes sometimes turn brown after only a couple of years. They may still smell okay, but this is a clear sign that change has already taken place, and is currently underway. My question for all of you vintage-enamored perfumistas is simply this: When you purchase a vintage perfume, are you getting the bottle analogous to the woman who takes meticulous care of herself and adopts pro-active measures to protect her skin and health? Or are you getting the bottle analogous to the woman whose motto is best summed up Carpe Diem or, perhaps, Whatever? Who is in a Position to Certify Authenticity and Quality? Obviously, everyone who is selling vintage perfume claims that they are offering you the first, not the second kind of bottle. But how can you know this? Even if you believe that the person with whom you are dealing is honest and forthright, what if that person was not around during the previous four decades of the perfume's life? It seems quite clear that perfume which is currently being well-cared for cannot regain what it has already lost any more than a woman who laid out in the sun, chain-smoked and drank heavily for thirty years can reverse the damage done. In fact, on reflection, it seems to me that the odds of getting the first rather than the second sort of bottle are much worse than even. Why? Because every single person who is selling a vintage perfume either does not care about perfume (and perhaps happened upon it through an inheritance or by gift) or else he or she needs money. Why else would they even bother selling it? Whichever of these two happens to be the case, the odds seem to me quite slim that the bottle which is being vaunted as a precious vintage perfume to you, a potential buyer, is going to be in very good shape. These are of course mundane practical concerns regarding whether or not you should trust people who are trying to fob their old, unwanted perfume off on you in order to earn a quick buck. The more they can build a case for the pristine perfection of the vintage perfume which they are trying to sell, the higher the price they will be able to command. Who among e-bay sellers will confess that, in fact, they themselves did not even exist at the launch of the purportedly “perfect” vintage perfume now in their possession? And, if it's so perfect and precious, then why are they trying to get rid of it? I ask most sincerely. Now, setting all such practical concerns to one side, the question of vintage ramifies in many other far more philosophical directions, as well. One is that “vintage perfume” offers an example of a deeply engrained cultural contradiction. On the one hand, we value and laud everything bright and shiny and new. So each time that a new perfume or series of perfumes is launched, we rush to obtain samples and pen our reviews. But, according to the vintage view of things, old perfumes are better than new perfumes. Many perfumistas appear to be seduced in opposite directions simultaneously: nostalgically toward the past and progressively toward the future. New niche launches are viewed as a cause for celebration, while vintage perfumes are also sought out. At the same time, many new perfumes (especially mainstream) are mercilessly trashed as knock-offs, while virtually all old perfumes are worshiped as great. In some ways, The Question of Vintage is the flip-side of The Question of Niche, because today's sought-after vintage perfumes were none other than yesterday's mainstream launches. A few astute perfumistas such as Action have stood up to the nouvelle vague of niche, but many perfumistas both venerate vintage and demand innovation for the sake of innovation in the very next breath. These contradictions eventually lead back to The Tower of Babel 2 and the question whether in perfumery we seek beauty or novelty, art or function. The underlying assumption among vintage aficionados appears to be that anything vintage is automatically beautiful, though most of it they have not and could never have sniffed. I ask, therefore, most sincerely: What is the point of lamenting long-lost perfumes (as Turin and Sanchez, co-authors of The Holey[sic] Book are wont to do), and what, precisely, is supposed to be the point of sniffing and writing about perfumes stored under argon gas and inaccessible to 99.99999999999999999999999999999999999999999999999999999999% of humanity? I entreat you, my dear fragrant friends and fellow travelers, to offer solutions to these conundra and, above all, to illuminate the errors in my thinking about vintage perfume! I do not like vintage perfumes. I have a vintage LHB (thank you Celina for helping me get that!) as I wanted it badly. Maybe because I wanted to feel a real parfumista by owning it? Anyways: I never use it... it just stands there. Other friends were very generous and did sent me other vintage formulations. But I never got the hang of it: to me they smell sour, too compressed and just vile sometimes. I like my juice new, fresh and crisp. I own 1 bottle, not even 1 year old, kept in perfect conditions with a big pepper note in the opening. And now that the bottle nears it's end the oxygen in the bottle got to it and the crispness is gone and I almost never touch it again. I must force myself emptying that bottle. I must admit: by smelling the golden oldies I see why people like them more then the modern once. This is not a bash the vintage lovers rant from me. Almost all that are called "classic" perfumes are not for me. I do not get them. I do not even like them. I admit that my rant may seem a bit strange. Why do I care, after all, what people spend their time and money on? In a few days, I'll be posting a follow-up to the above text which has more relevance to the status of perfumery. I actually wanted to include an entire Tower of Babel discussion above (which will follow), but I realized that my text was spinning out of control! You are right, of course: we all have to follow our own instincts and perceptions on these matters. I really appreciate your offering examples of your disillusionment with "old perfumes", which takes some guts, given the extent of the received view! Stay tuned for Tower of Babel 3, which will focus on how vintage and reformulated perfumes make it even more difficult to communicate about perfume than it already is! I meant to say something also about your point that the purveyors of new perfumes are equally interested in earning money. Yes, perfume is a business, when all is said and done! We perfumistas like to exalt it to the status of a fine art and forget all of the ugly mundanities associated with the running of businesses. More and more, with the consolidation of houses under megacorporations, it seems that business is taking its toll on the industry as a whole. Having said that my most special perfume is a vintage/reformulated bottle but I have a perfectly good excuse. I bought a sample of it, loved it and then bought a bottle from the same internet retailer. The only problem was that it smelled completely different! So I found myself almost two bottles of the vintage formulation. And guess what: they do not smell exactly the same. I can practically arrange my two vintage bottles and the current formulation in a logical progression, with my treasured notes gradually diluting. Which means that I can support your point that not all vintage are equally vintage, therefore what does vintage actually mean? As for your point that different vintages bearing the same name may smell totally different: yes, yes, yes. That is one of the primary sources of my skepticism about the entire discourse and enterprise of vintage. I really feel that people cannot be talking about the same thing when "it" is a vintage perfume produced fifty years ago. Maybe it's logically possible that the contents of two bottles bearing that name smell the same, but it seems physically nearly impossible. I mean, the probability of two bottles being handled identically seems next to nil, but how they are handled obviously affects the rate of degeneration of the components which make up the perfume. All of this is a simple matter of chemistry. Thank you so much for your sharing your insights and experience! I am here very often my dear! Just as I wrote the above comment I realized that I sound like a terrible under-achiever and to a point I am I guess. But my attitude is only limited to things one acquires, not things one achieves. Of course acquiring a rare vintage bottle (even unidentified) is very often perceived as an achievement. You are right: people view the acquisition of what they have been persuaded to believe is a treasured vintage perfume as a form of achievement. I always chuckle when I see people reporting that they "won" something in an e-bay auction. That probably sounds really bitchy, but I tend to think that a genuine victory inheres in something a bit more substantial, requiring some effort and sacrifice, the investment of something uniquely one's own. I do not doubt that successfully bidding on an e-bay item is a source satisfaction, but is it a "victory"? If we can date a fragrance by its bottle, the cap, a design, a mark - I say do it! It doesn't mean it's the original (un-reformulated) fragrance. It doesn't mean it's an old or dated fragrance. It does mean that we will be better educated consumers and connoisseurs in the end. "*IF* we can date a fragrance by its bottle, the cap, a design, a mark, I say do it!" Everyone seems to agree that used car salesmen are a seedy lot. Why, then, is there so much faith among vintage perfume lovers in used perfume salespersons? I ask most sincerely!!!! Dear Shera Pop, I like your blog. Here I can read things that I have been thinking myself. By the way I also can't obssess about things I can't have. Be they things or people. Hard to get is not for me ;) I just want to add a few things that entered my mind when reading your text. I agree with you: yesterday's mainstream is today's vintage, but today's niche is tomorrow's mainstream. I think that with perfume regardless whether it's vintage, mainstream or niche, it's best to remember what any serious comtemporary art dealer tells their clients: Buy only if you like it. There's no way of predicting whether the piece of art will increase or decrease in value. And another idea struck me: If every vintage bottle smells diffrent, how do you want to make sure that the reformulated perfume smells diffrent from the original version when it was launched. (Ok ingredients have been changed, but there might be a way to synthetically emulate them) In other words: we might have to wait for say 40 years (random number) and see what the reformulated version smells like. What about niche perfumes that just didn't make it and are sold for little money in drugstores? If niche is art (and mainstream is not), do they stop being art? Why so? their compostion hasn't been changed. It's still the same perfume, the store's different. Thanks for sharing your insights and ideas with us. A warm welcome to you, and many thanks for your excellent series of fascinating questions! I agree with you that there's something odd about defining something relative to its reception. You ask whether art stops being art because it fails to be recognized as such. This does seem to be a curious feature of human commerce which applies across all boundaries. So, for example, many great artists are not recognized during their lifetimes precisely BECAUSE they were great artists, that is, their work pushed the boundaries of what had been done before and therefore was not recognized as art by ordinary people. There is a strange irony in our adulation and veritable sanctification of dead artists whose work does not really become appreciated until it is old news. But that's the nature of novelty. As regards perfume, no, I do not believe that all niche perfume is art, nor that only niche perfume is art. But, again, we are trapped in our own limited perspectives. I can say for example that some perfumes which I did not like initially, I came to like as I realized that they were not really incoherent messes but in fact very original creations. Sarah Jessica Parker Covet is a good example. So the question is: how many market failures were really excellent perfumes, but because they were misunderstood, people dismissed them, which then led to their discontinuation by the companies which produced them? In the end, you are right: we need to judge all perfumes by our own lights (what else could we do?) but we should do so always with an open mind, aware of the possibility that we may simply have missed the point, for a variety of different reasons. Clearly, the perfumer who created a perfume and signed off on it, did not believe it was an incoherent mess, so who is right, and who is wrong? Sometimes when we test a perfumes we are preoccupied with other matters and so do not give it the attention it deserves. Eventually we arrive at a judgment about a perfume which then affects our future behavior: we swap a perfume away, having decided that it is simply unwearable, as I did with my bottles of Lanvin Rumeur and Guerlain Insolence, and we wear the perfumes which strike as beautiful, whether they cost $20 or $200 and whether we found them in a bargain bin or paid MSRP at a niche house. Thank you so much for these incisive questions and rich observations! Please return to comment again soon, Anonymous! Hi, Sherapop. For me, buying vintage is the only way to experience the notes that have all but been banned by the IFRA/EU. I love oakmoss and eugenol so I seek out the classics. Some of my acquisitions have come from the decanters, and none have had that telltale acetone note that signifies a "dead" perfume. Virtually all of them have lost their more volatile top notes, which is to be expected and doesn't bother me at all. Yes, Cryptic, I certainly understand your concern! I wonder whether some of the smaller and independent houses are going rogue and flouting the decrees of the IFRA, which seem to be getting worse by the day. Let us hope, since, as you point out, we can no longer find many of the classic notes in the "perfumes" currently being produced by design houses. Isn't it about time for the indies to revolt? I agree with Cryptic. This is the only way to buy the perfumes in their somewhat 'original' form. I am a lover of oakmoss and mysore sandalwood. To get these notes in a scent you have to buy perfumes made years ago. When I buy on ebay, I buy unopened bottles. Do I know if they will be perfect? No. I've been lucky so far. Do I care why they are being sold? No. Why should I?